Guided Hike in Private Reserve Ecological Sanctuary. In the Ecological Sanctuary; We are a private reserve where we aim to conserve the forest and provide our visitors with the option of enjoying the magic of nature walking on our trails. 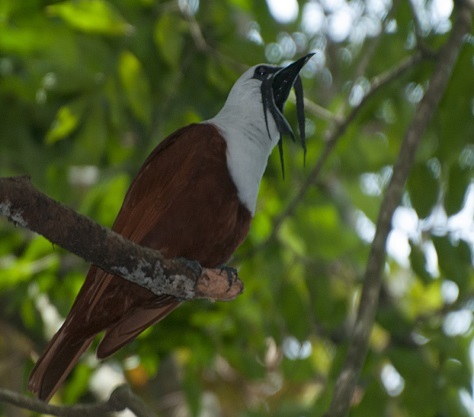 We are part of the Biological Corridor of the Bird Campana, so we work hand in hand with the Association Bird Campana (www.fccmonteverde.org); Sowing and maintaining approximately 1000 trees per year, this association has as a project to reforest the corridor where these beautiful birds nest and eat. We are located at a lower altitude and blessed by the fresh Pacific winds, our forest is mainly composed of low montane forest, with lower humidity, which offers a habitat distinct from the high cloud forest regions, with a great abundance of trees Fruit trees that make this reserve the ideal home for the variety of birds, mammals and exotic butterflies, which are not usually seen in the dense forest or in the cloud forest. 1. Pizote Trail (Green); With 800 mts in distance and approximately 45 min in re-run time. 2. Manakin Trail (Yellow), 2.3 km away and approximately 1:30 hrs in time of travel. 3. 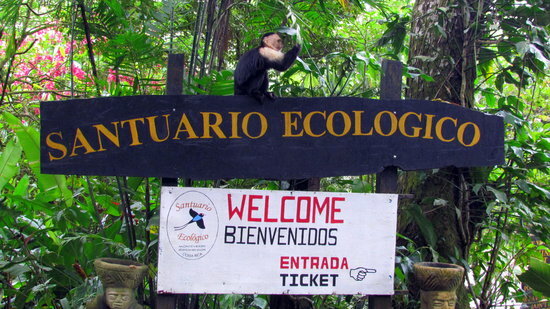 Monkey Trail (Blue); With 4 km of distance and approximately 2 hours of travel time; Where you will be surprised with beautiful waterfalls and streams, which harmonize with the great biodiversity of the area in 48 hectares of protected area.